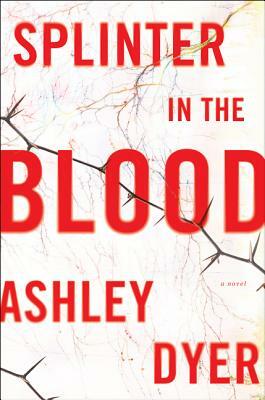 If you like mysteries with lots of twists you need to read Splinter In The Blood, the debut novel by Ashley Dyer. The story starts out with a bang, literally, with a scene in which Detective Chief Greg Carver, the lead investigator of a serial killer named the Thorn Killer has been shot. He is sprawled on his seat in his own home. OK, maybe there are other mysteries that have started this way. Gradually, we began to understand her motives, her disdain for Carver as a person and as an investigator. And Lake and the Thorn Killer are both fascinating characters. Ashley Dyer, who is actually two different people working together, agreed to an email interview. One part of the writing duo is Margaret Murphy, a Writing Fellow and Reading Round Lector for the Royal Literary Fund, a past Chair of the Crime Writers Association (CWA), and founder of Murder Squad. 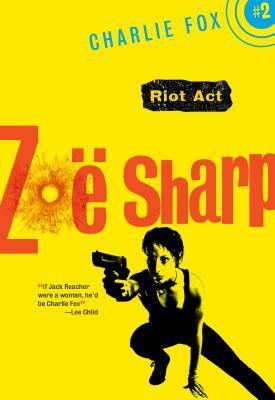 A CWA Short Story Dagger winner, she has been shortlisted for the First Blood critics’ award for crime fiction as well as the CWA Dagger in the Library. The other part is Helen Pepper, a Senior Lecturer in Policing at Teesside University. She has been an analyst, Forensic Scientist, Scene of Crime Officer, CSI, and Crime Scene Manager. She has co-authored, as well as contributed to, professional policing texts. Her expertise is in great demand with crime writers: she is a judge for the CWA’s Non-Fiction Dagger award, and is Forensic Consultant on both the Vera and Shetland TV series. Thanks to them both for chatting with us, and you can read more about them on their website. Scott Butki: How did you two decide to join up and work together? Helen Pepper: I’d done a lot of work with Ann Cleeves. Ann is a member of Murder Squad, a group of crime writers from the north of England, which was founded by Margaret. So we’d met a few times at writing events. Margaret told Ann she was looking for a forensic advisor and asked if I might be interested. I was VERY interested, because I knew Margaret was such a great writer. Margaret Murphy: I’d written a one-page outline (more of a blurb, really) for Splinter In The Blood in 2014, but it wasn’t until 2016 that I started working on it in earnest. I knew, by this time, that Ruth Lake, one of the two main protagonists, was a former CSI, so naturally, Helen came to mind. You’ve seen her bio, so you will have guessed that she has an ability to bend time – how else would she fit so much into a day? Even so, I was apprehensive that a collaboration of this kind might be a project too far, and I was delighted when she agreed. SB: How did you go about working together? Some writing partners alternate chapters, others have one do the writing while the other checks the details, for example. HP: I’m not a writer, Margaret’s the driving force there. What happens is Margaret will come up with an idea, then we’ll get together and talk it through. My job is to come up with ideas as to how we can use forensic science in the story, both to move the story along and maybe to create a few red herrings! I also advise on police procedure and how things are done in real life, which quite often involves pointing out that, yes, there might be a really fancy piece of kit that will get us a result, but there’s a really straightforward inexpensive way to get to the same result, and police forces don’t have an endless budget. Margaret then disappears to write the book (a minor job!). Whilst she’s writing we bat ideas back and forth and she sends me completed chapters to check. I love this part of the process, it’s so exciting to see how Margaret makes the story come to life. After we’ve talked story lines and forensic elements, I mull for a bit, then start on the full outline, which may be 20,000 to 40,000 words long. SB: How would you summarize the plot and protagonist? MM: The story begins with an image: a woman standing over a shooting victim; he lies sprawled in an armchair in his own home. She’s holding a gun. By the end of the next chapter, we know that the shooting victim is Detective Chief Inspector Greg Carver and the woman holding the gun is his trusted partner, Detective Sergeant Ruth Lake. By this time, Lake has systematically removed or destroyed evidence and recreated the scene. For the past year, Carver and Lake have been investigating a series of bizarre, ritualistic killings: five female victims, all tattooed – even the soles of their feet. Over a period of weeks, the “Thorn Killer” inks strange patterns and eyes on the victims – some opened, some closed. Even more cruelly, the ink contains a paralytic which slowly suffocates them. Carver wakes from a coma some days later, and as he struggles towards recovery, he experiences strange hallucinations and ‘auras’ – a form of synaesthesia – caused by the injuries to his brain as he lay near death. He is lying about how much he remembers and Ruth is lying about what she did at the crime scene – can they catch the killer when they’re lying to each other and everyone around them? SB: What do you hope readers will take away from your book? HP: Enjoyment, and a need to read the next book! SB: Helen, I’m guessing that as someone who has been an analyst, forensic scientist, scene of crime officer, CSI and crime scene manager you must cringe when watching tv crime shows. Is it thus therapeutic to work on the Vera and Shetland tv series to ensure they got it right? HP: I don’t watch too many TV crime shows – they tend to make my teeth itch! Though since I’ve been working on Vera and Shetland I’m a little more forgiving than I used to be. I started out thinking that we could make everything absolutely accurate, but it’s just not possible. In real life there’s a huge team, each of whom each make a small contribution. The senior investigator sits in an office juggling budgets and authorizing overtime and detectives spend an awful lot of time filling out forms and writing reports – which doesn’t make riveting TV viewing. So now I see it as my job to guide writers towards realism, but still keeping it interesting. SB: Margaret, what was the adjustment like going from writing crime fiction on your own versus as a partner? MM: I’d worked on a few TV and online scripts and story lines in the past which involved ‘round-table’ discussions with visual artists, producers and writers. Although none of these projects were commissioned, I did enjoy the process, so I was looking forward to working with Helen – and she’s made the transition very easy for me. SB: What were the advantages and disadvantages of co-writing this? HP: For me there’s only advantages. Working with Margaret gives me an insight into how the writing process works and allows me into a whole different world. I think one thing that CSIs and writers have in common is that we are really nosey – we like poking around in other people’s lives. I love finding out how the writing works, and I adore meeting ‘real’ people at writing events. You might need to talk to Margaret about the disadvantages! MM: It’s fun being able to share interviews, podcasts and book tours with someone else – it can be lonely on the circuit, staying in motels and watching bad TV for entertainment. From the performance point of view, I can be excitable and expressive, a bit of a mimic, too – whereas Helen is relaxed and very droll, so we riff well off each other, and audiences enjoy the balance. Disadvantages: Helen has a ‘proper’ job, teaching police and CSIs of the future to solve real crimes, so I sometimes have to curb my need to know something NOW! Immediately! Without delay! while she fulfills her other responsibilities. SB: Who are some currently working crime fiction writers you’d like more people to check out? HP: I think Margaret could answer this better than me. I don’t get to read much crime fiction. I’m a judge for the Crime Writer’s Association non-fiction dagger, so I read an awful lot of non-fiction crime. I’m also a university lecturer, so I have to keep up to date with what’s happening in academia – not to mention the TV scripts and Ashley Dyer reading. I have to say, though, that the murder squad writers are all really excellent. Although they all write crime fiction their approaches are really different, so however you like your crime, one of them would have something for you to enjoy. 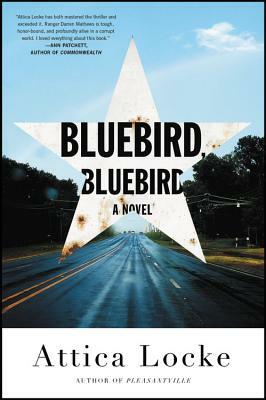 MM: Dennis Lehane is a master on so many levels. 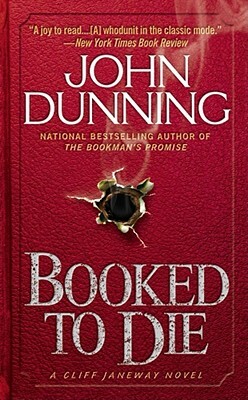 I feel a strong connection to the recurring theme in his books – both series and standalone – that violence has consequences that are individual, generational and societal. But he is able to do all of this in the most stylish, entertaining narratives you will ever find in crime fiction. Richard Montanari writes menace like no one else. His books are all very different, yet all have a tension and page-turning pace to envy. I’m usually a slow reader, but his prose, sometimes hard edged, sometimes lyrical always has me reading way past my bedtime. AJ Finn – his debut is a lovely, twisty take on the domestic noir. Though he explores well-recognized tropes, he does it in a fresh, intelligent and witty manner. The Woman in the Window has hugely enjoyable Hitchcockian references and more than one playful nod towards noir films, and the ending is deeply satisfying, too. SB: What’s it like having publicists comparing your work to Netflix’s Mind Hunters, BBC’s Broadchurch and American TV’s Criminal Minds? HP: Pretty mind-blowing! It’s such a great feeling when people like what you’ve done. MM: One word – gratifying. SB: Are you already working on the second book? How far do you have this planned out? HP: The second book’s all finished (and it’s an absolute cracker!). We’re just starting out on book three, and I’m really looking forward to it. BTW, we both microblog on our Facebook page @AshleyDyerNovels (we do giveaways and competitions, too!). We’re on Twitter as @AshleyDyer2017 and we even do forensics and background-to the-story videos on YouTube as Ashley Dyer Author – do come and join us!